Balgrae Dog Training Inc is owned and operated by Joanne Williamson and Greg Paris. 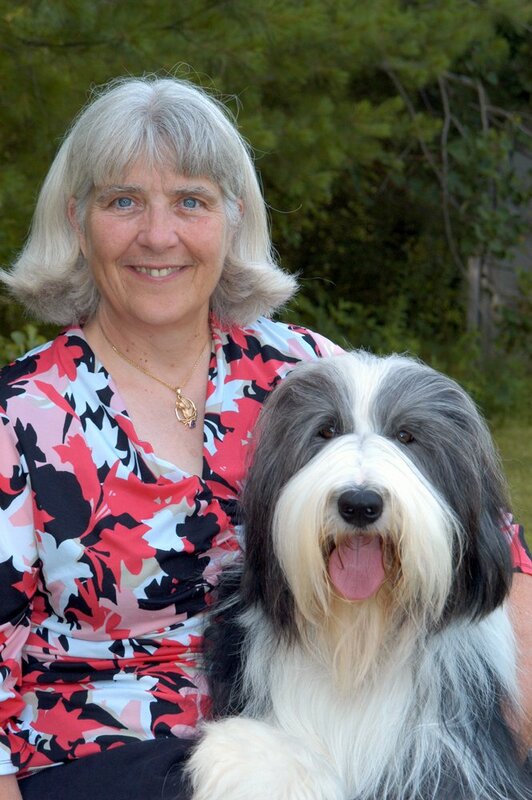 Joanne and Greg are retired scientists who have been married for more than 40 years and have shared their lives with Bearded Collies since 1983. They purchased the property on Horne Homestead Rd in July of 2014, turning it into their retirement home and a herding dog training facility. After two years of planning and construction, they moved to Charlton in June, 2016. The first herding event, the Bearded Collie Club Of America National Specialty Herding Trial, was held here September 17-18, 2016. Greg has many interests ranging from Neolithic archaeology, geographic information systems, wandering the Scottish highlands in search of stones, libraries, collecting books and classical music recordings, science fiction, photography, single malt Scotch, and a little bit of drug discovery consulting on the side. When planning for retirement, being a farmhand, part-time shepherd or duck chaser were not foremost on his mind. 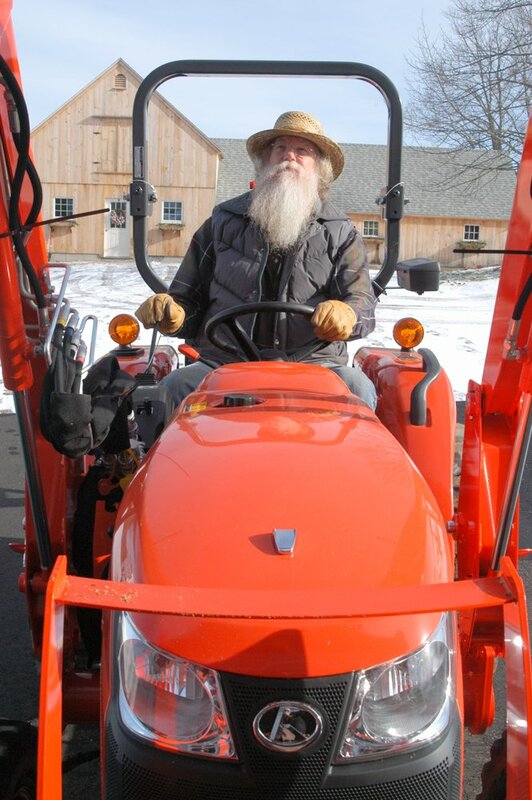 He’s since become a handyman, fence-post pounder, stock trailer towing driver and majordomo of the tractor and backhoe. He still finds time for genealogy research and armchair archaeology. Joanne is the dog trainer in the family. She has trained and handled her Bearded Collies to titles in breed, obedience, rally, agility, and, of course, herding. Her first Beardie, Am/Can CH Sir Dworkin of Arrochar UD HIC, was a multiple group winner. Am/Can/Bda CH Parcana Lord Corwin CDX OA NAJ HIC was a Best In Show and National Specialty AOM winner. CH MACH Balgrae’s Sean Mackay CD HSAs, bred, trained and handled by Joanne, was the first Bearded Collie to earn a MACH and placed 8th in the 20 inch class at the 1998 AKC National Agility Championships. CH Balgrae’s Rob Ruadh CD RAE MX MXJ was the first Beardie to earn AKC Rally titles. CH MACH PACH2 Britannia Flashback CD RAE HXAsd qualified for the AKC National Agility Championships multiple times and competed at the AKC Invitational Championships twice. DC Pentangle’s Captain Jack BN RAE HXAdM HXBdM MX MXJ MXF T2B was Joanne’s first AKC Herding Champion. Balgrae Beardies have been HIT in herding at the BCCA National Specialty seven times and have also earned HIT honors in agility and obedience and several High Combined awards in rally. Over the years, Joanne has been a member of a number of dog clubs and has served as trial chair or event secretary for many breed, obedience, agility, and herding events. Joanne is a member of the Bearded Collie Club of America, Middlesex County Kennel Club, and Tartan Gordon Setter Club. She has had the honor of serving as an officer of the BCCA, was the 2013 National Specialty Chair, and currently serves the BCCA as chair of the Versatility committee, agility statistician, and advisor on National Specialty issues. Joanne is also a provisional AKC Rally judge. Joanne has tried to incorporate all the lessons she has learned from training in multiple venues to running events into the design of the facilities at Balgrae. If your club has never run a herding event, we would be happy to advise you on the arrangements. Trial secretary services are also available.